The best activities I used in my classroom were ones that I could put together quickly and use with all of the abilities in the class but have different areas of the curriculum that it targets. 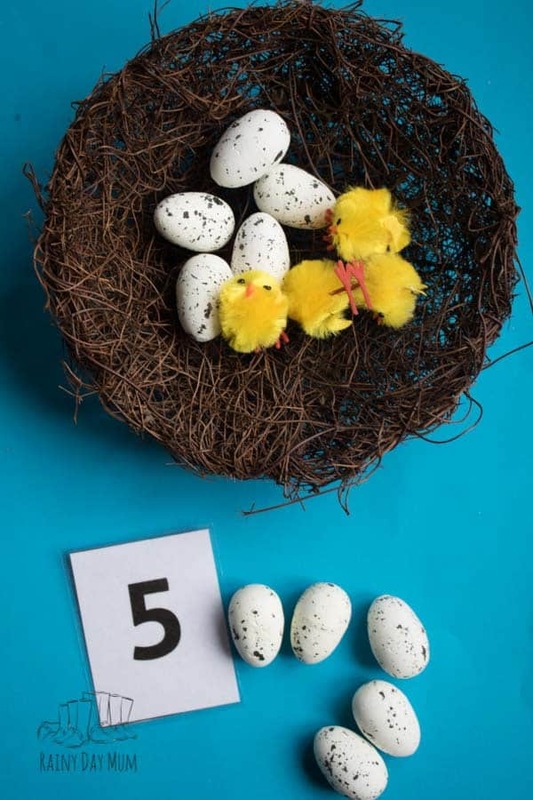 This simple Birds Nest Math Activity is one such activity – the same equipment can be used for toddlers and preschoolers learning to count up to those working on addition and subtraction. 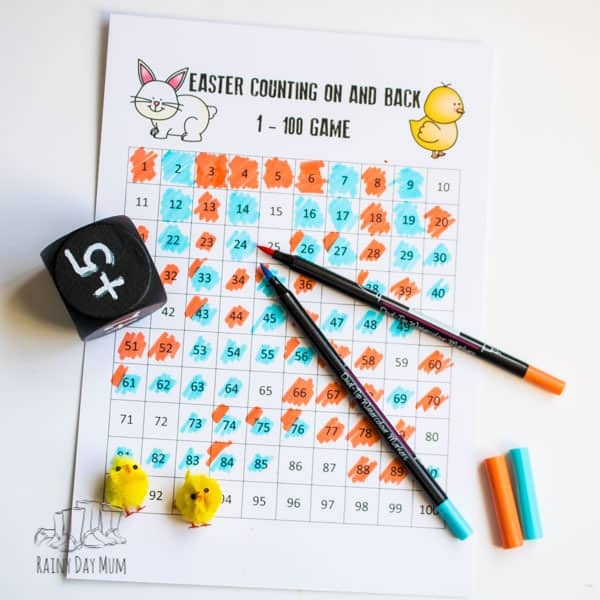 It makes it ideal for adding to a math centre in the classroom, getting out with your children when homeschooling, working with your toddlers and preschoolers on some basic number skills or helping your child with their homework and targets from school. 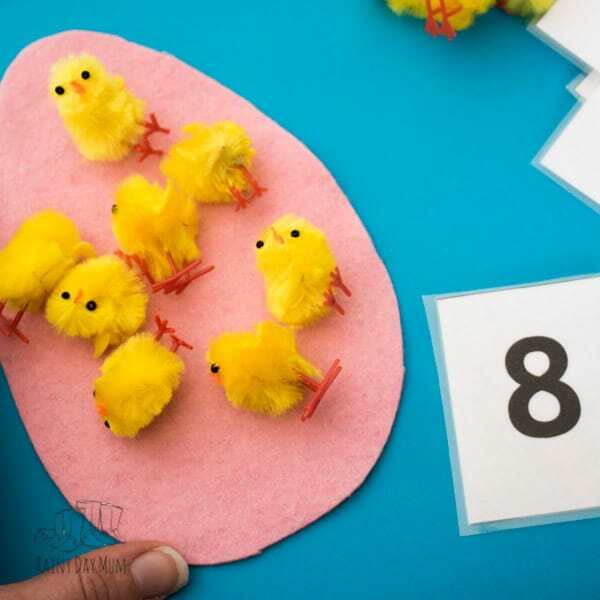 So here we go with a quick and easy hands-on maths activity for spring. Discover our featured book this week to share with your toddlers and preschoolers as part of our Virtual Book Club for Kids. We have used affiliate links for the resources we have used in this activity. If you purchase via these links we may earn a small commission. Cut out your number cards. 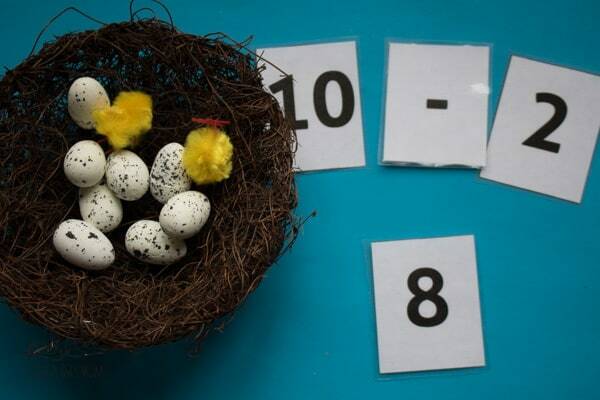 Fill your nest up with the number of eggs you are working counting up to with your toddlers and preschoolers. 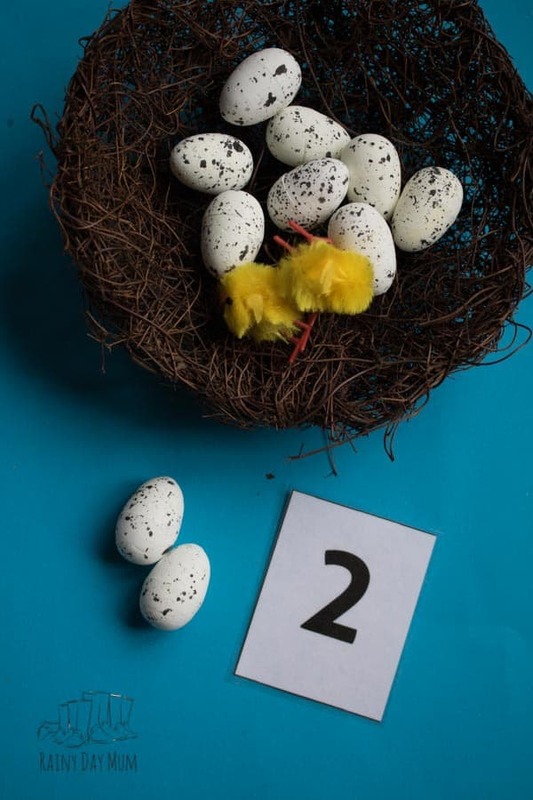 Now switch out the eggs with the chicks. 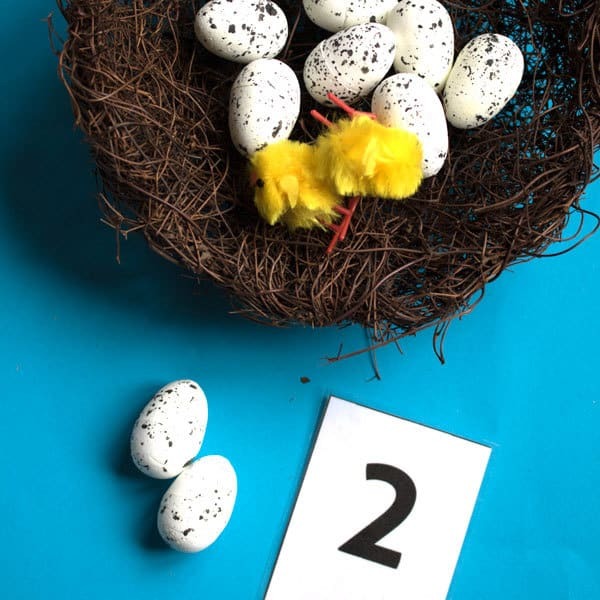 Ask how many eggs are left in the nest – how many chicks are in the nest. 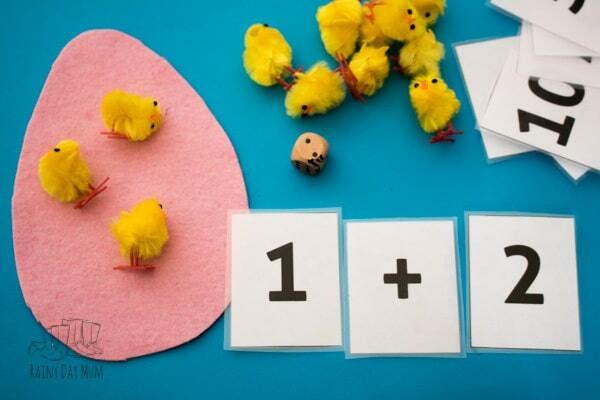 Find the matching numbers and place this beside the nest for your toddler and preschooler to start to see the numbers connect with the verbal number. 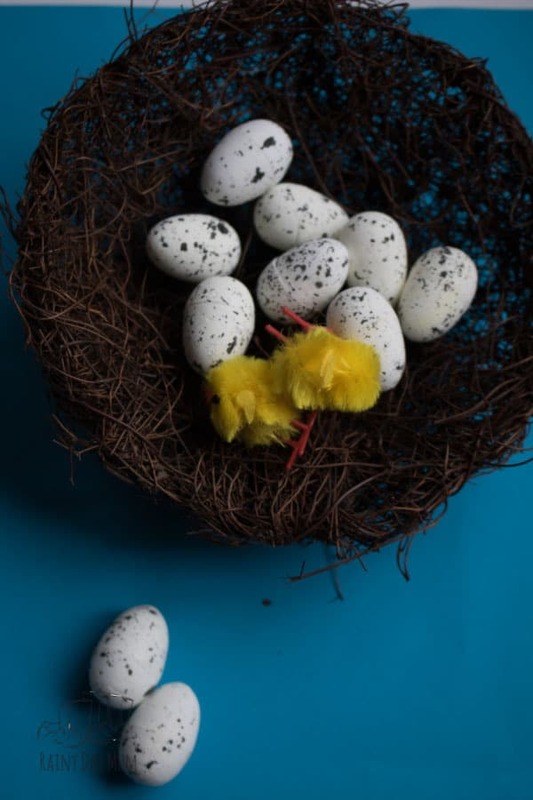 Change the number of eggs and work on challenging your child or easier to gain them a little more confidence. 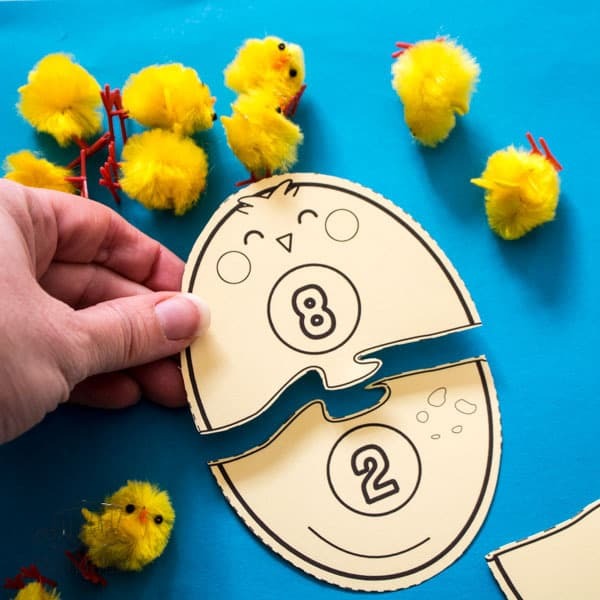 Try making edible nests and making the hatching of the eggs edible for some Edible Maths Fun. Using the same method as with counting move forward and use questions first and then formal mathematical terms. 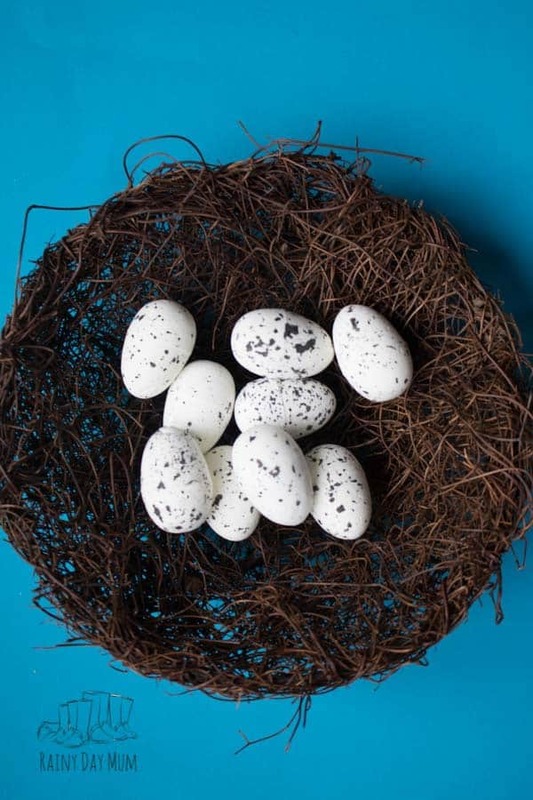 You could start off with – I have 10 eggs and 2 hatches how many eggs are left. 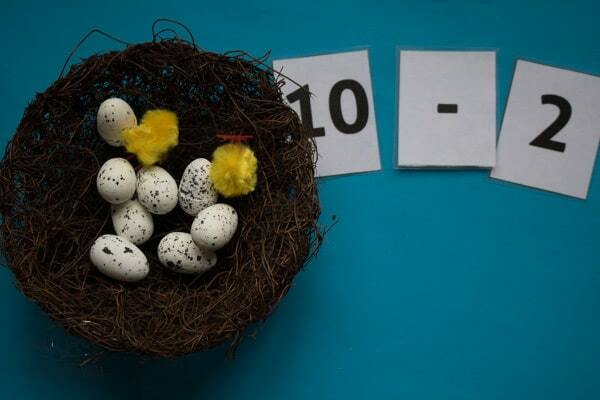 Or I have 10 eggs some hatched and there are 8 left in the nest how many chicks are there? Then get into the nest and count out the eggs and the chicks. Use the number cards with the mathematical operators to write simple number sentences. Are you my mother by P.D. Eastman. A classic book to read aloud with your child in which a little bird goes on the hunt for its mother after it hatches when the mother bird is away making sure she has some food for it. No worries though the book has a happy ending too.